If you're looking for an indie sewing pattern (something other than the big Mcall's or Butterick selections) then Magpie patterns is the place! 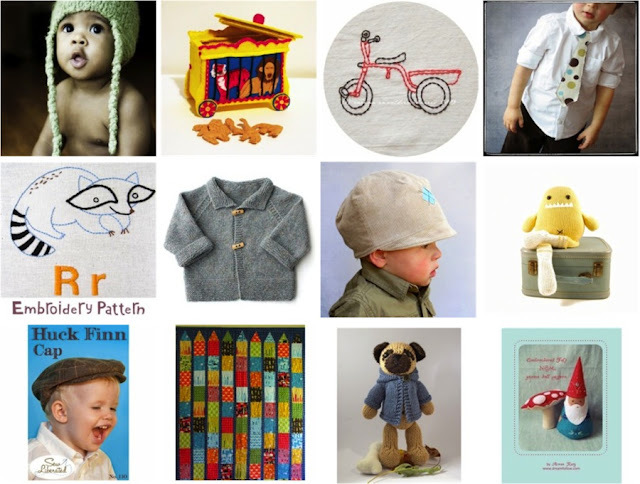 It's a one-stop shop for ALL types of sewing, knitting, and crocheting patterns for kids and adults. 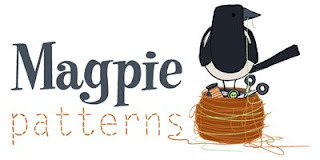 Magpie patterns carries all the names you love: Oliver + S, Patterns by Figgys, Soule Mama, Penguin and Fish, Sweetie Pie Bakery, Sew Liberated, and many many more. Magpie carries books too! Today Magpie Patterns is helping us celebrate boys by offering FOUR free patterns! This means there will be FOUR winners! AND...Magpie Patterns is offering a 15% discount to everything in the shop from now until Monday morning, 3/7. Just enter "MADE" at checkout! Each winner will receive one pattern. Once winners are announced it will be first come, first serve as to which pattern you would like. * Leave your EMAIL ADDRESS in your comment, which may be written as: dana (at) hotmail (dot) com, if you're worried about leaving your real address in cyberspace. * Pattern will be emailed or mailed to the winners. * Giveaway ends Sunday 3/6/11 at 2pm (Central Time). Winners will be announced Sunday evening. I love a good pattern! oh I would love to win that dapper dillingers pants pattern!! Wow I'm like almost first.. crazy! The pants, the shoes.... oooh if only today is my day! I love finding cute boy patterns and these are wonderful! How exciting! I have two little boys that I would love these patterns for. Would love to win any of the patterns. I've been eyeing the beach bum pattern since I saw it a few days ago...it looks great! i love these give-a-ways! thanks! Great patterns! Hope I win! 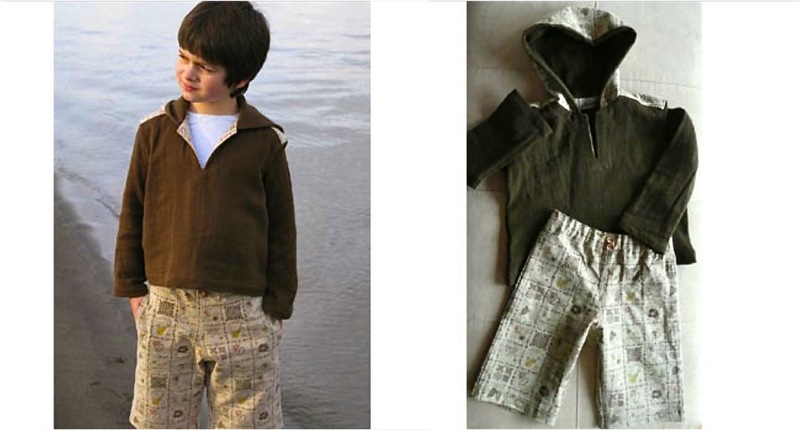 as it turns out I AM in the market for boy patterns! Ohh baby, I LURVE those shoes! Thanks so much for a chance. so cute! they look like fun to make. awesome patterns! can't wait to try one out. Oh goodness I love those shoes! I love these patterns! I'm just learning how to sew and would love something like this so beef up my skills. Those shoes are so cute! And that hoodie and shorts would come in so handy with my twin two year old boys! I'm not wild about having my email out there so if I win, leave a comment on my blog or just here on yours as I will be checking daily. :o) Thanks. I am loving this boy celebration!!! I find so many things to make my girls and feel like my son is so often left out so Thank you! This would be so fun to win. Oh I love those baby shoes! I love Magpie Patterns! Thanks for offering up these fun patterns. My boy is in need of something new 'mama-made'. Thanks so much for the giveaway. Not sure which one I would choose! Ooooo... I want all of these boy patterns. Maybe I'll be lucky enough to win one of them. i love fun new patterns. OH wow those lil booties are just too cute!!!! AMAZE!!! YES!! Thanks for the op. What a fantastic group of patterns! Great giveaway. Thank you. One can never have enough patterns! And all of these are absolutely awesome!!! I love all of these patterns! Such cute patterns!! LOVE the witty bitty shoes!!! I LOVE Magpie! They're quick and friendly and have a huge selection. Thanks for the chance to win a free pattern. My son LOVES hoodies! It would be awesome to get that one! I could use some cute boy patterns. Twin boys to sew for. Love the patterns. The shoes are so cute! Adorable patterns, especially the little shoes! Wow!! what a great giveaway! Awesome! I love all the pattern and a mom of 4 boys can never have enough patterns! I love that beach bum hoodie! love the little shoes! perlmansusan at gmail dot com. Ooooh! It would be so great to win any of these patterns, but especially the shoes. I like the shoes especially! I love the Oliver + S patterns! What a nice collection of patterns! They've got a lovely shop. I'd love to try one of their patterns. Any of them would be great to win. Thanks for chance and good luck everyone! They come very handy now that the family is getting a new member. Always looking for fun patterns! I love LOVE those little shoes! Sign me up! These patterns are great! I would love to try them out for my nephew! Love those kids patterns! Too cute! Oh, I'd love to try these. Thanks for doing the giveaway. what a great giveaway, thanks for the chance to win! pick me! pick me! I need some new inspiration! These are just such cool boy patterns! 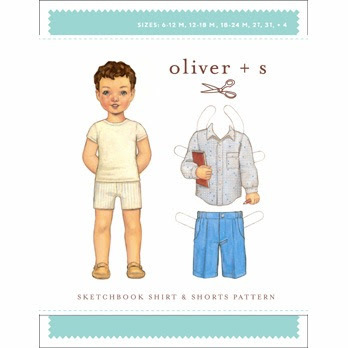 I've never done any "boy" sewing and any of these patterns would be a great starting project. Dapper! Such a great word for little man pants. Totally need this! I just found out we are having a boy. Such cute patterns...so many to choose from! o i hope i win! Ohh the Dapper Dillinger Pants and Sketch Book Shirt are both on my wish list! I love all of these patterns. This is a great web site!! morefabricplease (at) gmail (dot) com. I would love to win, it seems I can never have too many patterns. They are all such lovely patterns! I love these patterns! Thanks! I love magpie patterns and the ones they're giving away are great. Thanks for the giveaway. Love that beach bum set!!! Thanks for the fun! I love them all! Thanks! Ooo I'd love to win any of them! What great patterns! Love the hoodie and board shorts! those board shorts and hoodie are too cute! and those shoes..perfect for gifts! I would love these patterns. I've never been to Magpie Patterns and that first page was a magical place. Thank you! love the Oliver & S pattern. Yay! If only I good be so lucky to win. Thank you so much for this wonderful giveaway!! Neat shop! I've just spent way too much time checking it out. Oooh! These are great! I would love to win one! love it! my son has been feeling neglected after so many dresses for his sister!!! Awesome. Love Magpie Patterns. Thanks for the giveaway, hope to get my hands on that beach bum hoodie and board shorts pattern (or any really^_^)! SOOO cute. So nice to see a Butterick/McCall alternative. I wish I could get all of them! They look like fun. I LOVE all of these patterns! So great! Would sooooooooooo love to win this giveaway! Thanks for the opp!! Oh look at the booties! so beautiful! love it all! Pick me! Pick me! I was just looking at those first 3 patterns, they look great! Everything looks so cool to make! What good ideas! Today is my lucky day...90% off at a closing Joann's store, so who knows, maybe I'll finally win a giveaway. Fantastic! I'm always looking for cute boy patterns! Magpie shop is great! Love that crayon quilt pattern. I hadn't seen that one before. OOoh! My 3 little boys would just be so cute in these designs! I love sewing for my babies! I have a new sewing machine and renewed drive to start stitching.